Ruth Langsford stuns fans in fun Whistles slogan jumper – and it’s in the sale! Ruth Langsford is always a happy burst of positivity on our TV screens – and now, she’s doing it with her clothes too. The 59-year-old delighted This Morning viewers on Sunday when she wore a gorgeous statement slogan jumper from Whistles. 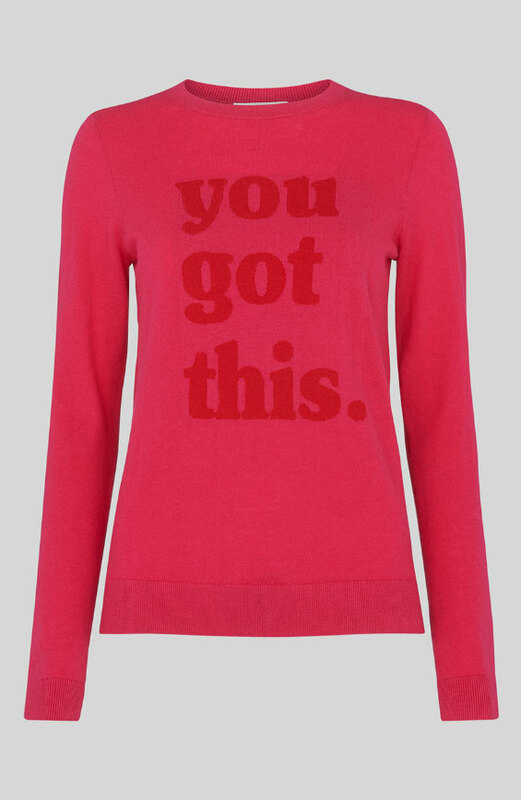 Crafted from wool and cotton, the bright pink sweater reads ‘You got this’ – for the perfect motivational moment – across the front, and is perfect teamed with jeans for an off-duty look, or with a pencil skirt for office dressing. It could even be paired with a midi skirt, for when the weather starts to warm up. Viewers were dying to get their hands on one after seeing Ruth in it – and luckily for them, it’s now in the sale! Reduced from £99 to just £49, the Whistles jumper is still available in all sizes from 4 – 16, but at this price, we predict it won’t be hanging around for long! According to Whistles website, the statement jumper “comes in a silhouette that is true to size and easy-to-wear”. It certainly seems popular with fashion lovers everywhere, with plenty snapping it up and sharing their styling efforts on the website. One savvy shopper matched the jumper with a pair of fuchsia pink slim leg trousers, which contrast beautifully against the paler pink of the jumper.